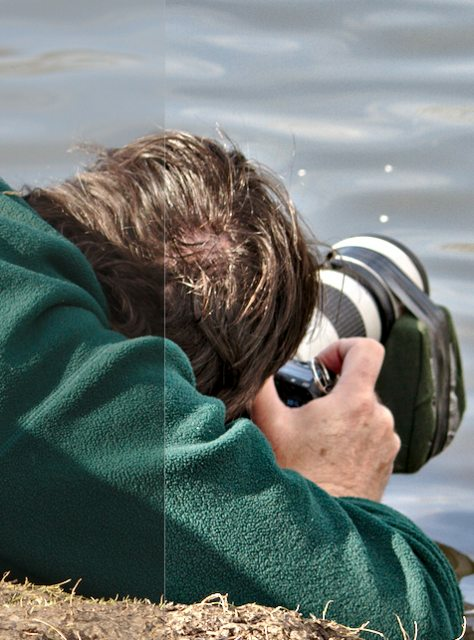 Nigel uses a Canon 50D, a Canon 300L f/4 with a TC 1.4. 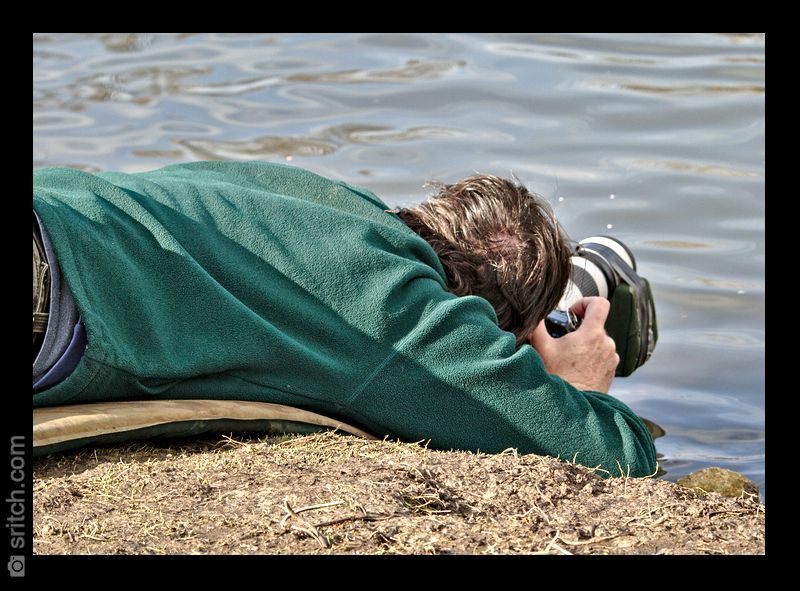 He doesn’t need any stabilization… In this case no tripod…, just a small piece of foam underneath and on the side of the lens to make sure that the lens doesn’t end-up in the water. I have only one word: Amazing! BTW, Not too long ago, Nigel upgraded to a Canon 5D MkIII with a Canon 500L/f4 and the TC 1.4mkIII.